On Thursday's episode of Serial, Sarah Koenig once again dives into the case of Bowe Bergdahl, focusing in this episode on the people who tried to find him. Koenig spoke with the military personnel who tried to get him back, despite there being no handbook for a situation like his. As soon as Bergdahl went missing, a DUSTWUN was issued, military jargon for a missing person status that triggers a huge military response to find Bergdahl. That search, and the following attempts to get Bergdahl home, were all run out of CENTCOM in Tampa, Florida. Yep, Tampa. That's where the United States Central Command is based. CENTCOM is a military command center that directs overseas deployments of U.S. military troops, ships, planes and more from all branches in the Middle East, North Africa, and Central Asia including — notably in Bergdahl's case — Afghanistan and Pakistan. The U.S. Military splits the world into six areas of responsibility, separated geographically. "Central" refers to the central area between Europe, Asia and Africa. CENTCOM oversaw both the wars in Iraq and the war in Afghanistan. It also oversees current deployments of force in Iraq and Afghanistan that are performing advisory and assistance roles. Everything is run out of its headquarters at MacDill Air Force Base. As Koenig reports, CENTCOM has a group of people whose job is to get people back from foreign conflict zones. Not just military personnel, but anyone from civilian contractors to hikers. These were the people in charge of finding Bergdahl — even after the first 45 days of intensive searching by ground forces was over. 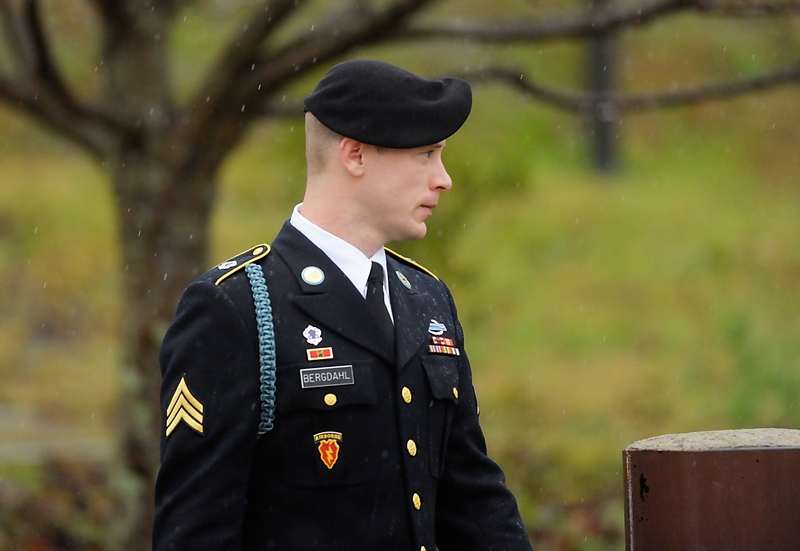 Koenig interviewed two intelligence analysts whose job it was to get Bergdahl back. There were just two people covering all of Afghanistan and Pakistan. The analysts' goal would have been to identify where he was and then turn that information over to someone who could do something about it. The problem was that Bergdahl was in Pakistan. "You had a U.S. prisoner of war being who's being held in the friendly nation of Pakistan by the designated terrorist group of the Haqqani on behalf of the lawful combatants of the Taliban," an unidentified military official told Koenig. Nothing like that had ever happened before. Because the U.S. Military was not at war with Pakistan, the CENTCOM intelligence analysts had to work with the agency who did oversee personnel recovery in the country: the CIA. The importance of the Bergdahl's recovery could be trumped by any number of things going in the country, Koenig said, from the NATO airstrikes that killed more than 20 Pakistani soldiers to the raid that killed Osama bin Laden, which was carried out in Pakistan without permission. Ultimately, after spending five years as a Taliban captive, Bergdahl was recovered in a May 2014 prisoner swap, OKed by Obama, that traded him for five Guantanamo detainees. The move quickly came under fire after he was accused of being a deserter. In December, Bergdahl was court-martialed and charged with desertion and endangering troops and could serve life in prison. He opted to defer entering a plea. Meanwhile the Army has deferred its decision on whether or not to award him a POW Medal or Purple Heart until after his trial.